Attipas Australia are excited to announce their first Australian brand ambassador and face of their Spring/Summer campaign, Parker Myles! 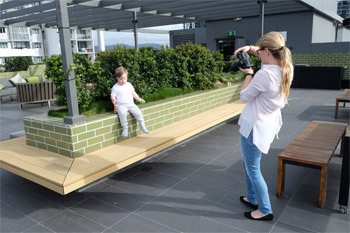 Parker, 3, who has Down Syndrome and recently modelled for Bonds Australia amidst a storm of media attention due to online trolls, was selected amongst thousands of toddlers to front the brand due to his love for Attipas shoes. Caroline Africh, CEO & Founder of Attipas says, 'We offered Parker the role of being Attipas' first Australian brand ambassador after hearing about how much he loved wearing Attipas shoes. The shoes are perfect for Parker. After seeing his cute little face online we knew he would be perfect for our Spring/Summer campaign, launching this July, so asked him to be the star." Parker's mum Kat Abianac, a blogger, was approached by the brand after posting photos of Parker wearing Attipas online, and immediately said yes to the role. Kat said, 'When Attipas told me they wanted Parker to front their Spring/Summer collection of toddler shoes, I was over the moon. He unboxed his new collection of Attipas shoes, lined them up in a row, gave them all kisses and tried them on!" Daniel Gibbs, renowned podiatrist, owner of Posture Podiatry and spokesperson for Attipas adds, 'Attipas are great for children with low muscle tone, such as Parker, due to their unique design encouraging the feet to develop good strength." Attipas Australia will also be donating a percentage of profits from their Spring/Summer collection to Down Syndrome Australia.